Today we’re celebrating the release of Rula Sinara’s After the Silence, the second book in her ‘From Kenya, with Love’ series. Well, the entire ‘From Kenya, with Love’ series grew from my lifelong passion for animals, experience living in North Africa, love of wildlife rescue, nature and children. When I wrote the first book, The Promise of Rain, I was able to live my childhood dream of being a wildlife veterinarian in Africa’s Serengeti. And as that story unfolded, certain family members and friends of Anna and Jack begged for their own stories to be told. I knew exactly which characters would take center stage in books 2 and 3 of the series. Sadly, I also knew that the death of a dear character in The Promise of Rain would happen in After the Silence...but I'll admit that, at first, I thought it was going to be Ben, the hero in this book! And I knew that my own emotional struggles with raising children who were blessed with being ‘outside-the-box’ would add to Ben and Hope’s journey in After the Silence. In looking at the cover, if you could add a caption, what would it say? "I'll love you forever and I'll make sure you know how much your mommy did too." Anyone who knows me knows how self-critical I am. This was an emotional story for me to write, so every scene is close to my heart. It’s hard to pick, but there’s a scene that takes place in the kitchen at Ben’s in-laws where, for the first time, we see him letting his guard down a little as he plays a joke on Hope, involving fresh cranberries, in front of his kids. We see that, behind his hardened exterior, he has a sense of humor. We get a glimpse of the father he was before his wife’s death affected him. And we see the potential impact his letting his guard down could have on his daughter, Maddie, breaking through her mutism. So it’s a big turning point for all three characters: Ben, Hope and little Maddie. The inspiration for my hero, Ben Corallis, is absolutely Matt Damon. 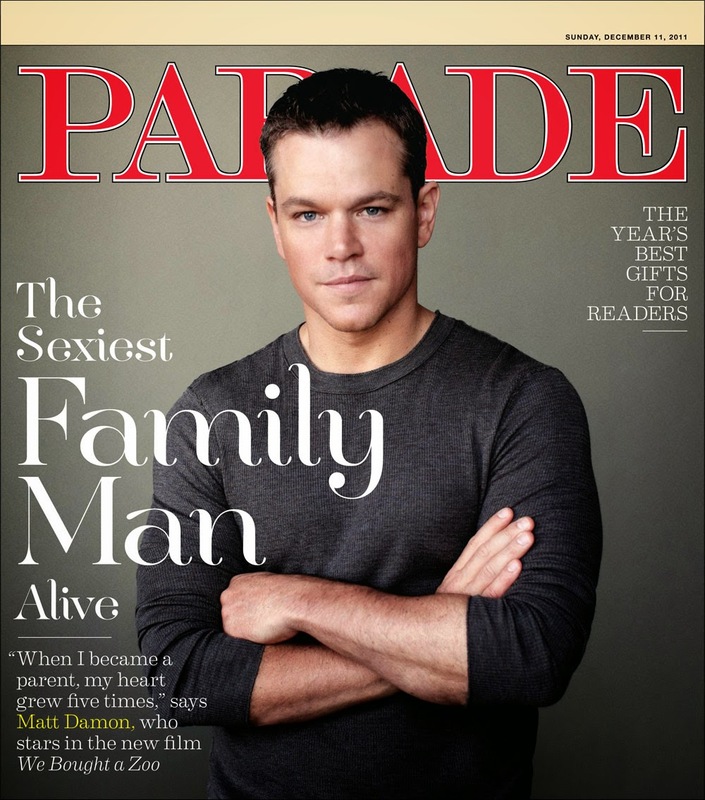 I love Matt Damon, not only in his military/adventure films, but also in dramas like We Bought a Zoo, where he copes with becoming a single dad after the death of his wife. Anyone who has read the first book in my series, The Promise of Rain, can guess what a wildlife lover I am… so that’s one of my favorite films. Ben Corallis, is a Marine who is forced to take on the everyday role of stay-at-home dad. So between the animals, single fatherhood and marines…there you have it. My inspiration for Ben was Matt. My inspiration actress for my heroine is the gorgeous and talented Oscar winner Lupita Nyong’o. My heroine, Hope Alwanga, is a brilliant, young medical intern in Kenya who has always done what her family expects and never had the courage to embrace her own desires in life. She’s humble, a giver by nature, and has no idea just how beautiful, talented and special she is. Yes, the cover of the book shows her with chin length hair and that’s not a mistake. It’s part of her story J. Or I should say that it became part of her story after a cover model with short hair like Lupita’s wasn’t an option. If you read yesterday’s blog post by Senior Editor Victoria Curran, you know how much we all like cover models to match the characters…so I went through the story and made hair changes that would make the cover work without changing my mental image of Hope as Lupita J. The hair change ends up being significant, so it all ended up working out for the best! This is your second book. Exactly what does this mean to you? That I can survive anything including an apocalypse? Seriously, though. This was a tremendously tough book for me to write, not only because of all the pressure and fear that sets in when writing the infamous ‘second book’, but because life, in general, wasn’t making the process any easier on me. I had personal stuff with family going on that was robbing me of writing time and the ability to focus. At least I thought that was all that was responsible for not being able to focus. But as it turned out, while I was frantically trying to get my full turned in, I was suffering from Lyme Disease from a tick bite and didn’t know it. Lyme disease causes a host of neurological problems, including memory loss, fog, neurological pain, arthritic pain, unexplained fevers…the list goes on. Suffice it to say that, by the time I figured out what was going on and rushed to the doctor, I was already in Stage 2 of the disease, meaning it the organism had spread throughout my body, so the symptoms were debilitating. And, as luck would have it, the day I got revision feedback was the day I was finally diagnosed with Lyme disease. I ended up pulling numerous all-nighters, while sick, in order to get those revisions done in time (almost a rewrite). It nearly killed me. Then, on top of crazy things happening, like all my major appliances breaking and needing replacement all in the same week and a load of other bad luck events happening (and mind you, my husband was out of town so I was single momming all this)…my son came down with a resistant strain of pneumonia (we’re talking unresponsive temperatures of 104-105)…and of course since I had exhausted myself and my immune system was still shot from the Lyme…I caught his pneumonia…on the same day that I got my copy/line edits for the book and a deadline for them. I’m not kidding! And that's just some of the difficult stuff that was going on during those months. I felt bombarded. Coincidence? Super bad luck? Crazy planetary alignment? Whatever it was, it tested me and I passed. I’m still alive and I honestly think that the fact that I had to push myself and work harder through the struggles and suffering, made me produce a stronger story in the end. I’m currently working on the third book in the ‘From Kenya, With Love’ series. My working title is Beyond the Storm, but of course that could change ;). For those of you who have read The Promise of Rain, Mac, the helicopter/bush pilot who helps with wildlife rescue missions and spotting poachers, is the hero in this third story. I may be biased, but he’s a hero after my own heart! The Promise of Rain took place predominantly in Africa’s Serengeti, although a small part of the book does bring readers to the U.S. In After the Silence, the story takes place in both Kenya and the U.S., with a large portion in the States. And the third book in the series will take readers back to Africa and the beautiful setting of Kenya. ...and anywhere ebooks are sold! "You have all made me feel so good with all your beautiful comments that I HEREBY DECLARE THIS A SPECIAL DAY, SO...anyone who leaves a comment on this post today (which I'll verify if I get sneaky emails lol) can email me at rulasinara (at) gmail (dot) com with their snail mail address and 'Totes and Bookmarks' in the subject line if they want totes or bookmarks from me. I'll send you the set (or whichever your missing if you already have the first from last year). Comments eligible for the giveaway END AT MIDNIGHT tonight!" Love Matt Damon!! Rula, I'm so sorry to hear about your medical issues. I don't know too much about the long term aspects of Lyme, but I hope everything is under control. 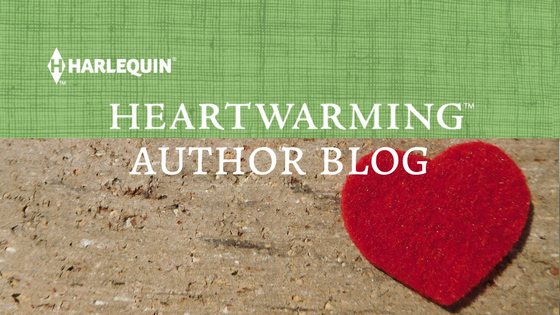 Thanks for sharing your passions with your readers through your books. Best wishes for much success on this release and many more to come!! Thanks so much, Christy! I'm doing a lot better now. Even after a month of the initial antibiotics, I suffered from what's called 'post-Lyme syndrome', where the infection is supposedly gone but the inflammation and symptoms persist. The worst was arthritic/nerve pain in my hands because it made typing slow and painful. But the flare ups are fewer and milder now and I should be okay. I need to be more careful about deer ticks while gardening this spring! Ack! I just saw my typo! I swear I meant to say 'Matt Damon...sigh'. With the 'o'! Oh, my goodness, Rula! I hope you continue to feel better. Lyme disease is tough and living on the RI coast I know many, many people who have had it. I can't wait to read this series. I think I'll load up my kindle right now (plane trip later on today)! Hi Kristine! I'm doing much better, thanks, but those deer ticks are not to be messed with lol! I do hope you enjoy the series (thank you!)! Have a safe and comfortable trip!! Your spirit shines through. Lovely. I'm glad you worked through your pain to create book 2. Thanks, Anne :). You're so sweet. Lyme Dz is definitely not fun. I live in a high risk area and always check my kids, but this one got my on my mid-back where I can't see. Sneaky fella! Rula, what a touching book, and a horrendous life story. But I can't wait to read this book since I loved The Promise of Rain and recommended it to a lot of people I know. From past experience I used to think all bad things happened when hubby was out of town for his work. It never failed. But I don't think I ever had as many objects to contend with at one time than you have. Your photo is lovely. You look so serene as if nothing bad could ever come your way. Wowza! You take care. Thanks so much, Roz, for your kind words and for recommending my book! I look up to you and your writing, so that means a lot! I swear it really does seem like all the tough stuff happens when our spouses are out of town, doesn't it, LOL? Back when our basement flooded with 2 ft of water from our sump failing during rains that came with hurricane Sandy, causing everything in our house to go out, from electricity to heat and water for a week or so...while we had single digit temps outside...he was out of town. And it happened the day I was supposed to turn in my full for The Promise of Rain! How's that for a coincidence? Am I destined to have drama with every book LOL?! I'm really laughing now...not then though. And guess what? I actually was in stage 1 Lyme in that pic taken at last year's Nationals. I was running on adrenaline and didn't know it, although I was battling severe headaches and 'flighty' brain syndrome (can I blame missing that breakfast on it? ;) and a few other symptoms. It was about a week later, in August that the really severe symptoms and fevers set in. But honestly, as bad as all I mentioned above sounds, it could have been worse. I know many people go through far worse...so no complaints here. Okay, so now that you have had your baptism by fire coming into the publishing world and every dark force in the universe was trying to stop you and you beat them down, all I can say, "My darling you must have a phenomenal career ahead of you! I stayed up waaay too late reading your book, AFTER THE SILENCE and couldn't put it down. Actually, I woke up still holding it in my hands. I do that a lot my husband tells me. I adore your characters and now that I see Matt Damon's photo on the blog, I totally see that . Hope is such a sweet soul and I can see YOU in her. She's strong in spirit no matter what the battle. I would say she is who would all strive to be. I'm praying that for your third book, you will have easy sailing, no more illness (I wish that for all of us) and that the kids don't have any more "snow days" till next year. How's that? Five stars on the book! Catherine, you had me laughing at 'baptism by fire and dark forces of the universe' and then had me tearing up at all your sweet compliments! I wish I could hug you right now! I'm so glad you enjoyed the book. I love your stories too and wouldn't mind moving to The Shores of Indian Lake! Thank you so, so much. You're going to make me cry in a good way! Rula, you are a talented and gifted writer. Thank you so much for sharing your talents! That's so kind of you to say, Melanie! Thank you and hugs! This sounds wonderful, Rula. I’m so happy you were able to coordinate the book’s cover with what appears in the book. I often refer to the people on a cover when I’m reading, and it’s annoying if I find discrepancies. Thanks, Marion :). I flip back to the cover too! I'm very visual and like to see that connection with the description. I'm the same way when actors are cast in movies based on books. Now, I had to really go through to find references to her hair throughout to change them based on the cover. Whew! Rula, I absolutely adore you and your writing--I hope you know that! I'm so sorry about your medical problems and your poor son. Lyme's is always a concern for us here. My husband and I work outside a lot. We've both had tick bites (my dogs have had hundreds) but we've always found them early--so far anyway. We are diligent about "tick checks." I am so excited to read this book! And I have to say that when I read Promise of Rain I was SO hoping Mac would get his own story. He wasn't in the book that much but something about him just pulled me in.... Congratulations, Rula, on your second book and on conquering all that life throws your way with such grace and strength! Aw, Carol, ditto and hugs!! You're one of the kindest people I know! I'm so excited that A Case for Forgiveness releases next month and love the series title, Seasons of Alaska. I also love how both of your covers have sunlight coming through in similar ways. Very cool way to link the covers! LOL, about Mac! I'm glad you wanted his story :). When I got The Call from Victoria for The Promise of Rain...before she let me know that she was offering me not a one but a 3 book contract...she simply told me that she thought there were a few other characters that needed their stories told. I said I had some in mind. She asked me who I was thinking of before telling me what she thought and when I said Mac, she said that's who she had in mind too and that there was 'just something about him'. So I'm chuckling that you said the same thing! Whew! I'm glad he's my hero right now! Thanks again, Carol, and keep checking for those ticks with your hubby! Could be a romantic thing to do in a very primitive/primate way lol ;). Oh, Rula, I'm so sorry for your "baptism by fire" as Catherine said. And I'm sure she's right that you have a brilliant career in front of you! Off now to get both books. As for the deleted post--I think every other word was misspelled! Pat, I misspell everything when I'm on my phone, which drives me nuts when I text! Those buttons are too small for my fingers lol. Thanks so much and I really look forward to all your Heartwarmings! You have all made me feel so good with all your beautiful comments that I HEREBY DECLARE THIS A SPECIAL DAY, SO...anyone who leaves a comment on this post today (which I'll verify if I get sneaky emails lol) can email me at rulasinara (at) gmail (dot) com with their snail mail address and 'Totes and Bookmarks' in the subject line if they want totes or bookmarks from me. I'll send you the set (or whichever your missing if you already have the first from last year). Comments eligible for the giveaway END AT MIDNIGHT tonight! 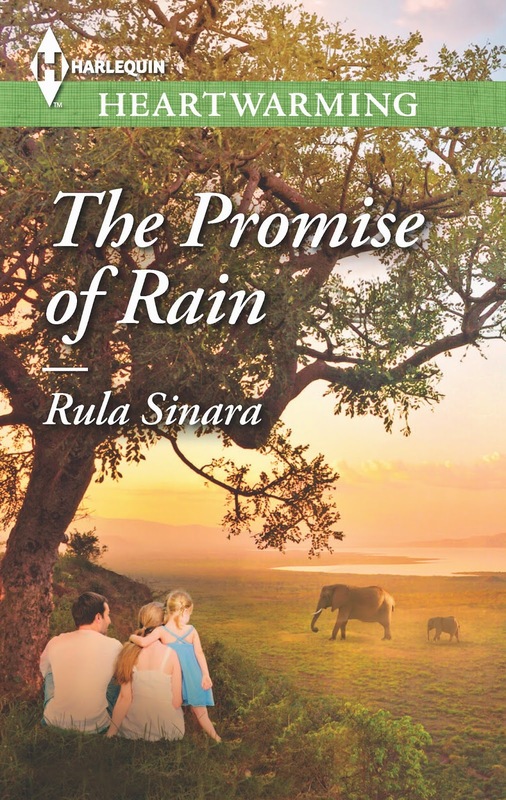 Rula, you know how much I loved THE PROMISE OF RAIN. I am very much looking forward to reading AFTER THE SILENCE, but now . . . I will hardly be able to wait for BEYOND THE STORM and Mac's story. Thanks so much, Kate! I loved your debut too and look forward to The Truth About Hope in May! With The Promise of Rain, I got to keep my working title. With After the Silence, it changed a bit (working title was The Sound of Silence...like the song lol). So we'll see if the title Beyond the Storm sticks or not...or still makes sense once I finish the book and then revisions lol ;). Rula - AANNDD - you have all those baby chicks! You seem to have the perfect attitude to get through it all - even when it all comes at you at once. Good going, Woman! I'm sorry I haven't read either book yet, but I'm going to get to it. Roz makes good recommendations. By the time you're internationally famous and your children are all professional geniuses, and life calms down a little, you'll have time for globe-trotting, television interviews, and visiting the movie set where your current book is being filmed. Doesn't that sound like the life? I wish that for you. Oh, Muriel! You just put a goofy grin on my face and my kid asked why I was giggling :). That sounds like quite the author dream! Thank you for that incredible wish! And no worries on reading...I'm so behind and keep catching up on books out of order. Writing and reading are a big part of me, but on the flip side, I've never been a fast reader and I'm not a fast writer either. I didn't have reading delays. I was an avid reader at a young age, but I do recall, in the seventh grade, the teacher putting me in front of a machine that had the words in passages scroll by quickly, followed by comprehension questions. She had told my parents that she wanted to try and train me to read faster. The thing is, it isn't so much about ability (I can skim read if I need to) as it is about daydreaming the story as I read along. My brain likes to fully absorb all aspects of what I'm reading to the point of making it feel real...but of course that makes for a slower pace lol. I don't do this conciously. It just happens. Oh, and I meant to add that the chicks and all my other critters are my way of brushing off the bad things that happen and welcoming the good into my life :). They really lighten the heart :). Oh, I love Matt Damon, too, and this story sounds so wonderful! Aw, thanks, Amy! I think you're a fabulous writer and I'm almost finished with The Best Laid Plans! And as much as I love Matt Damon, I just have to say that I want Charlie for myself!!! Emma's lucky I'm not a character in the book lol! He'd be mine! I'm with Amy, I can hardly wait to read it! And, everything else she said, too. Thank you, Pam! You're so kind. Every time I think of my first book now, I remember the wildlife basket we did together because our books shared the theme ;). Congrats on your upcoming April Love Inspired 4 stars from RT!! 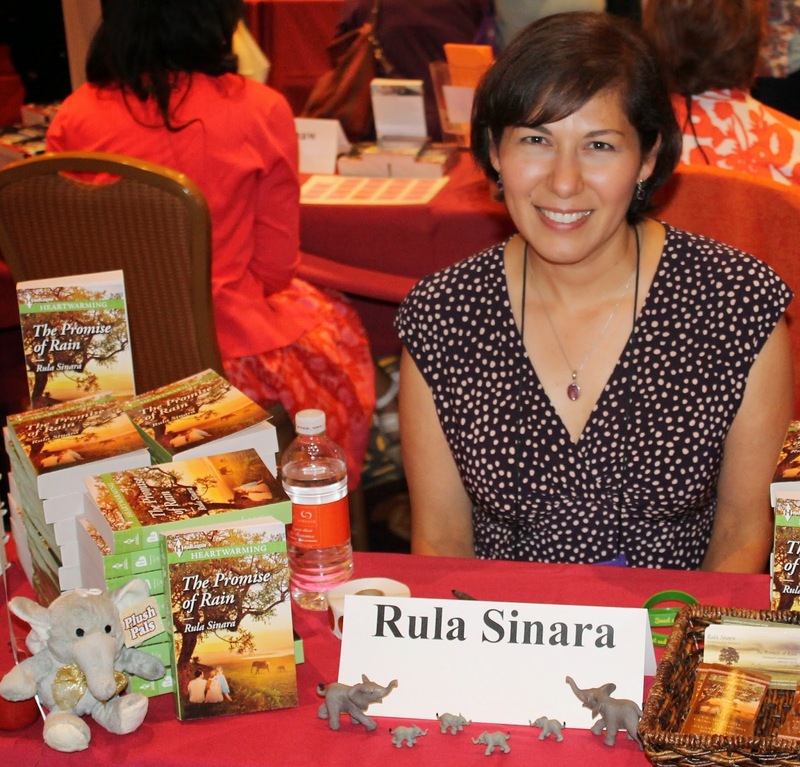 Rula, your series sounds wonderful! I'm so glad you've conquered that Lyme Disease episode and are on your way to full health again. You certainly had a lot of stuff thrown at you during the writing of this book! I'm reminded of the old saying: "Whatever doesn't kill us, makes us strong." Hi Leigh! Thanks :). And yes, I kept repeating that saying in my head! I also always remind myself that it could be worse and many others have it worse. But boy, after that rough 'pregnancy' and all those labor pains, I'm glad this baby has finally been born lol!